The Audi A8 has won the ‘World Luxury Car 2018’ award at the New York Auto Show. The win underscores the status of the brand’s flagship as the embodiment of ‘Vorsprung durch Technik’ (Advancement through Technology). The 82 jury members from 24 countries assessed not only the emotional appeal, passenger comfort and safety, but also environmental aspects as well as driving performance, market relevance and price-performance ratio. 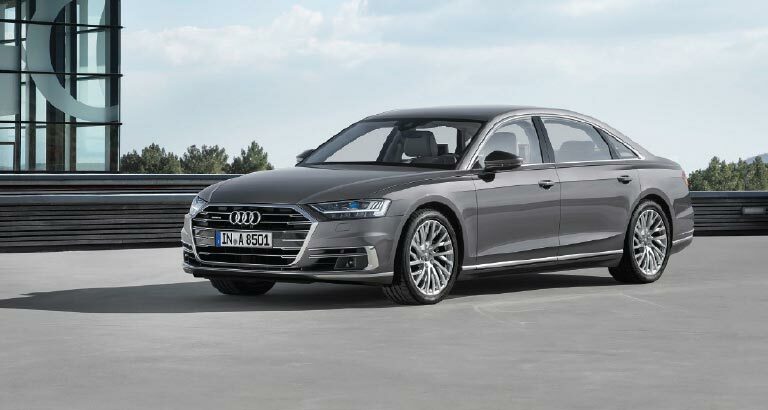 The Audi A8 is being built at the Neckarsulm site and will be available in dealerships in the Middle East starting from the end of April. In addition to its select materials and handcrafted-level build quality, its highlights include high-end equipment like the HD Matrix LED headlights with Audi laser light, dynamic all-wheel steering and the relaxation rear seat package with foot massage.